Services offered at JN Skips - Instant Clearances Available! For professional skip hire services in Croydon, Surrey and the surrounding areas, contact your friendly local specialists at J&N Skips today. We’ve been providing affordable skip hire, rubbish clearance and waste disposal services to domestic, commercial and industrial clients since our inception in 2007. Throughout this time, we have provided professional waste management solutions for thousands of customers in and around Croydon, Bromley, Sydenham, Dulwich, Wimbledon and all surrounding areas. J&N Skips offer a cheap, reliable, trustworthy service at fair and competitive rates. We apply discounts on multiple skip orders from building companies and contractors to help them control their own project costs. Our family-owned, Croydon-based business also provides affordable skip hire, rubbish clearance and waste disposal for domestic customers. We aim to recycle as much removed waste as possible and under most circumstances, 95% of the materials we transport back to site end up in the secondary production system.  J&N Skips, as a licensed waste carrier for Croydon and all surrounding areas, transports non-recyclable waste to land fields in our local area, but only when we can’t recycle certain products and materials ourselves. If you live or work in an area with difficult access issues, we’ll still usually be able to deliver a skip of a suitable size. J&N Skips work closely with local councils throughout the London area to help secure roadside skip permits on behalf of our customers. From small-scale domestic skips in Croydon, Kingston or Dulwich, to a major industrial rubbish clearance in Bromley, Wimbledon or Sydenham, we’re here to provide you with a wide range of waste disposal solutions at today’s fairest prices. Why Choose J&N For Skips? We hold a valid waste carriers licence and dispose of all rubbish in registered land fields. Up to 95% of waste is Recycled. We offer a fast, friendly and efficient service, Please call us now for a no obligation quote now. Skips can cost from £180 + VAT.